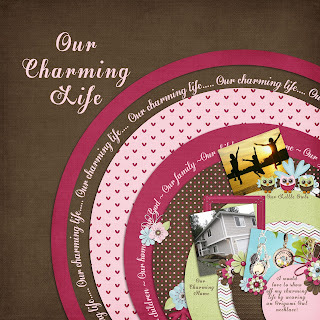 MyMemories Blog: *A Charming Life* Challenge from Jamie Breehne and Origami Owl!! Enter NOW! *A Charming Life* Challenge from Jamie Breehne and Origami Owl!! Enter NOW! Have you HEARD about the newest, hottest trend in awesome BLING?? It's ORIGAMI OWL Living Lockets! from Jamie Breehne ~ Origami Owl Consultant! She is giving away ONE Custom Locket to ONE SUPER LUCKY DUCK! Jamie will work with you to create an amazing, one-of-a-kind locket for you! Create a scrapbook page to show us YOUR CHARMING LIFE! Be *creative*, be *original*, be *charming*, and BE ZIPPY - giveaway winner posted NEXT FRIDAY! Any kit, any style - just show me why YOU want to win this awesome prize! Use the ADD YOUR LINK button to add the link to your page! We are also EXCITED to announce that Betty and Alyza (also Origami Owl Consultants) will be joining is for our OHIO MyMemories Workshop and doing a great giveaway there!!! Thank you for the opprotunity to win a living locket. They are awesome. Post my page this weekend. thanks for the great giveaway ~ these look awesome! now i have to work on my page entry! I'd love the sea turtle charm. Thanks for the fun giveaway! It was so hard to pick ONE charm!! I'm glad the prize is 5 charms... though it will still be hard to pick just 5 LOL :) They are all so wonderful!! I follow Jamie on Facebook too. I also created a scrapbook page of my 3 daughters and myself all wearing the dress my mother took a picture of me in when I was a baby 34 years ago! I like the My Memories facebook page! I liked Jaime's facebook page! A charm I would have to have would be a purple accent stone, I love gems and I love purple..so it's a must! I liked both pages (under Carrie Fox, my alias) and i visited the site and as a photographer, would want the camera, absolutely!!!! These charms are so amazing! i would love to win something for a change, and i would really like it to be this!! I liked both pages and shared the link on my facebook page. The charms that I would pick would be the birthstones. One for each of my four daughters. I have liked both pages and shared the mymemories contest info on my homepage. There were so many beautiful charms but I think my favorite would be the vintage cross. Based on my page I would have to get the Forever Family charm. Sorry for the 2-links to my page...I wasn't sure I was doing it right for the blog so tried the Pinterest link. my favorite charm is the camera! I would use this Lockett said to show all a lot of skills of your company and also to let other people know that I am an offer. I have liked both pages (Name Rose Pryimak) and I have tweeted and shared on FB. I live in Phoenix. I had visited one of the "Oragami Owl" kiosks in the mall and was so excited to make a living locket for my daughter in law for her birthday. I chose the "Faith" theme. I would be very excited to have a necklace designed with my likes. The one charm I would choose would be the silver "Victorian Key" dangle. As anything that would be made would be designed from the key to my heart. I can't figure out a facebook link but I did share & made a page yesterday. I've def liked both pages on FB and shared about this in my blog which I linked up! ^_^ Love looking at everyone else's link ups too, so cool! I like your FB Page already! I have also liked Jamie's Facebook Page. I shared my must have charm on Jamie's FB Page. Thank you and Jamie for such a fun contest, it's really a fabulous prize!!! Perfect inspiration! I'm obsessed! I want to win SOOOO bad!! You have no idea!